How do i test Microsoft Surface Tablets with QuickCAST Server? 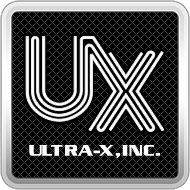 – Ultra-X, Inc.
How do i test Microsoft Surface Tablets with QuickCAST Server? Microsoft Surface Tablets can easily be tested with QuickCAST Server using the Microsoft Surface USB to Ethernet Adapter. Keep in mind that Microsoft Surface tablets require the Microsoft branded USB to Ethernet adapter as 3rd party adapters will not work.